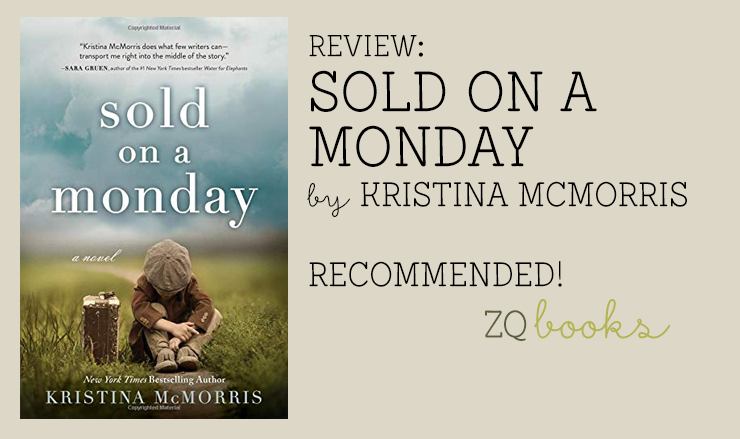 SOLD ON A MONDAY by Kristina McMorris realistically portrays guilt brought on by success obtained by less than honest methods, while illustrating hope during a poignant time in our nation’s history within a riveting suspense. His mind is overrun with questions and the horror of it all. Ellis takes a few pictures while he’s waiting for his overheated car to cool down. This is a moment he won’t soon forget, but he doesn’t anticipate how it will design his future. Lily Palmer, secretary to Editor in Chief at the same newspaper, has dreams of her own. When she discovers Ellis Reed’s photographs drying in the darkroom, she decides to slip them to the boss. He immediately requests a feature to go with the photo of the two boys, but this story doesn’t feel right to Ellis. Even with his misgivings, he can’t deny the opportunity a feature story will bring him. Of course, it doesn’t go as smoothly as expected and Ellis is forced to do more against his better judgement. It doesn’t take long for Lily and Ellis to realize they’re responsible for a chain of events. Mobsters, an insane villain, plus more obstacles, lead Lily and Ellis on a chase to right a wrong. Will Lily and Ellis save the children, or will guilt be their constant companion? This is captivating historical fiction from a reporter’s POV (point of view), as well as others in that business in the 1930s. Before I knew it, I was 21% into the story. Our thirties history is fascinating, with its speakeasies and gangster vibes, so getting it from the reporter’s POV is especially enthralling. The underlying story of a poverty-stricken family, and how Ellis and Lily are involved, is gut-wrenching. I couldn’t wait to find out what happened next. Author Kristina McMorris threads guilt for one’s actions, their cause and effect, brilliantly. Ellis and Lily are flawed characters with heart who tantalize the reader to read faster to discover how they fix this mess, if it can be fixed. I loved this story from the beginning. It has all the elements I crave with characters I cared about, and sometimes shouted at, appreciating their imperfections and how they add to the novel. Even though Ellis and Lily make huge mistakes, their hearts are in the right place at the end. The newspaper and photography angle grabbed me from page one. Volunteering as a reporter at a young age, I fell in love with human interest stories and photography at the same time. Although my dream to become a feature writer, including telling stories through photos, never came to fruition, this novel made me realize how much those early dreams affect who we are today. I still love to write and take photos, so the “what if” core of this novel spoke to me. Because it’s based on a real historical event made it even more poignant. The thought that anyone could or would sell their children touches a deep, emotional chasm in my heart. Of course, I didn’t experience the trauma of the Great Depression, but I saw it through my grandparents’ eyes. I can almost taste the coffee-soaked bread my grandfather and his siblings had for breakfast through his memories. I loved that this author included the inspiration for her story, but it still haunts me. How many more poverty-stricken children have stories to tell? If you’re anything like me, you’ll download several more of Kristina McMorris’ novels after reading this one. I’m looking forward to THE EDGE OF LOST and BRIDGE OF SCARLET LEAVES. 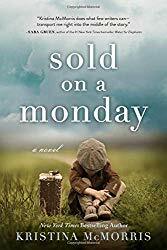 August 2018 new release SOLD ON A MONDAY is emotionally riveting suspense with a hopeful lining and a dash of sweet romance. Add in this emotive cover and who can resist? Review by Dorine, courtesy of TheZestQuest.com. Digital copy provided by the publisher for an honest review. Thanks in advance for sharing this review! Rated 5 out of 5, Favorite! Check out more of my reviews here. I liked this book so much that I recommended it to my book club. I can’t wait to see how the discussion evolves.